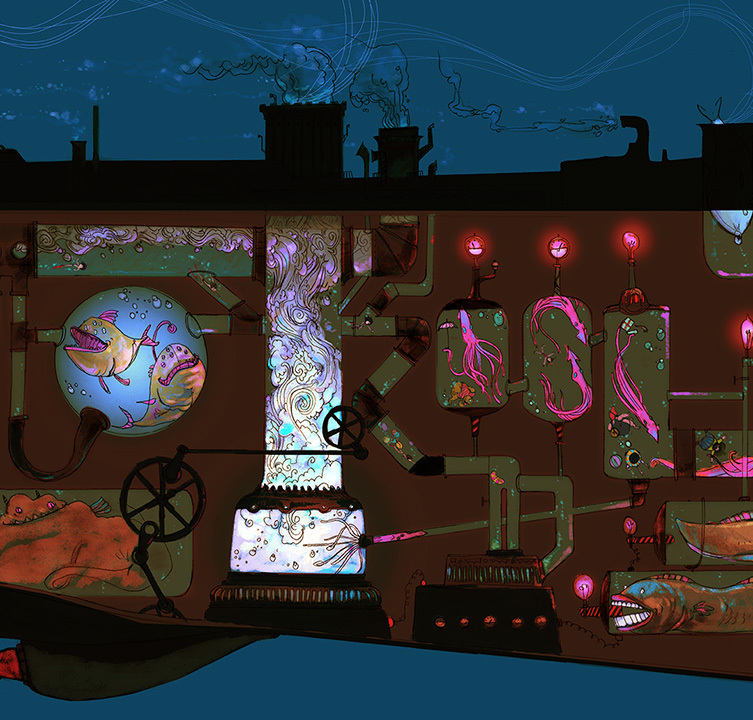 Deep inside the belly of the book there's a fold-out map revealing the inner workings of the Ship Monster -- there's a glowing boiler room; a churning, roaring furnace; and soon-to-be digested captives along with lost treasure. This page is the center piece of the book, a double-gate fold out measuring 12" x 48" when fully opened. 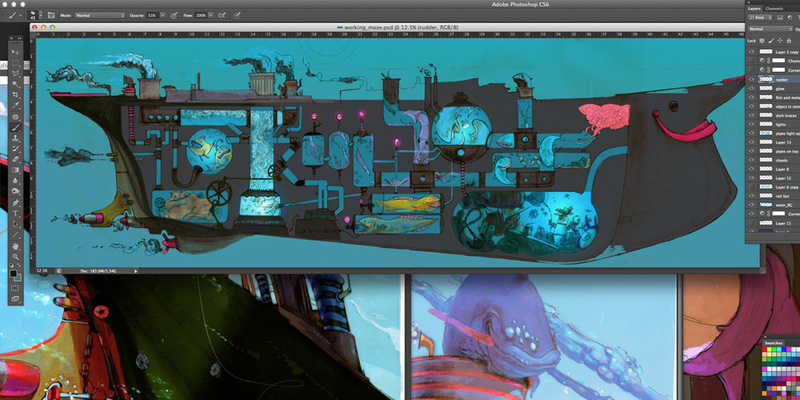 Scroll all the way down to watch a time-lapse movie of this gargantuan illustration. It's a few days worth of work condensed down to two minutes. Here's an early "value pass". In an illustration as complex as this, for me it's important to get the lights and darks of the overall design worked out before adding color. This is a detail of the final illustration. 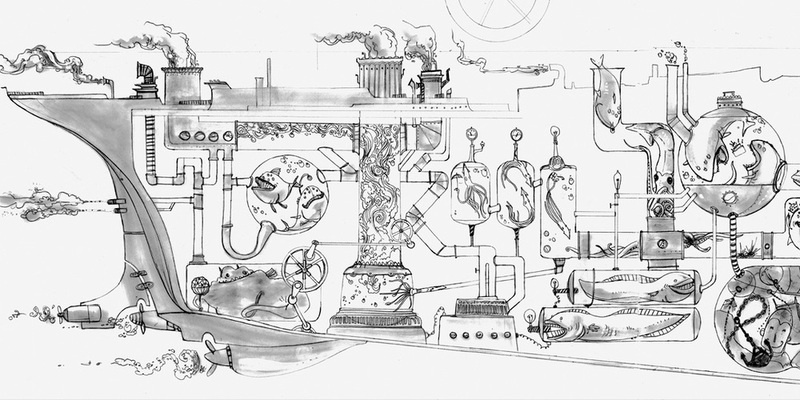 As you can see, there are giant squid swimming inside the belly, angler fish singing into the pipes, and eels powering the generator. Also inside the pipes is Brian exploring through the maze. Click above to watch the time-lapse video! Thank you for sharing our blog and pre-ordering the book!